Swiss speciality chemicals company Clariant will continue to implement its profitable growth strategy during the next three years. The company�s main goal is to increase its EBITDA margin from 13.2% in 2011 to above 17% in 2015 and to achieve a return on invested capital (ROIC) that is above peer group average. Clariant will in future generate more than 70% of its sales with core non-cyclical business units. For these goals to be achieved, the company said it needed to ensure progress in all four strategic directions. Within the existing business units, a further profitability increase is planned through performance management and functional excellence measures. An active portfolio management, successful innovations as well as increased market shares in emerging markets such as China, India and Brazil will help further boost profitable growth. 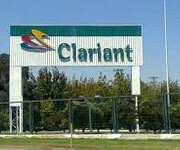 The acquisition of S�d-Chemie was an important first step for Clariant. Already in 2011 the former S�d-Chemie businesses contributed significantly to the company�s results. Until end 2013, an additional EBITDA improvement of approximately EUR74.9 to 95.7 million is expected from synergies resulting from the integration. The transaction will be accretive in 2013 after the acquisition. In addition, the transaction was fully refinanced within less than twelve months.